Is it me or is tempus fugiting at a bit of a cracking pace this year? There seems to have been a mere nanosecond since the Lost Booker shortlist was announced and I had really wanted to read these, but it's final public voting day already and I've only read one and that was pure chance and before the list was announced...grumble grumble...four weeks ago. Two of the books had 400 plus pages and one 600 plus, honestly what do they think we are... fast readers or something? It would have been good to have been given a little more time to make an informed choice. That said the recent reading past seems to have slightly more allure than the reading present at the moment. Spark, Nabakov, Maxwell, P.Fitzgerald & Co are all cutting the reading mustard right now...Stegner will be joining the pack any minute. Reading last week's mini-disaster of my own choosing for the NTTVBG was sadly pure torture on a daily basis. I was miserable, it was all enough to kill anyone's reading mojo, let alone mine which is usually unassailable, so it is not something to be repeated willingly. If I was clever enough to truly know and be very sure about what 'good writing' is I'd tell you, but I'm an emotionally engaged reader, it's about what I feel inside as I read that matters most to me and somehow conveying that to you, and there's a book coming up on here next week that will demonstrate exactly that. In the end I have a feeling I did last week's book and author a great disservice because I think on another day and given a different reading mood and context, that book may well have worked. I can think of a zillion books I have set aside and picked up months even years later and how surprised I am to find that diamond (yes, sorry , we're there, you must have been wondering when that subject line was coming) nestling in there where previously I had only spotted coal. It's odd how age is making me increasingly tolerant and unwilling to shut the door on a book and dismiss it for ever, I had quite thought it would be the opposite. So reader heal thyself and taking my cue from Wendy, and several of you in comments, I set aside everything else and becalmed myself with a few restorative old faithfuls for company, mining a few 24 carat diamonds of my own whilst I waited for my reading mojo to reappear, because very worryingly it was gone, kaput, nada for about six hours. Portrait of a Lady by Henry James, that did the trick and Isabel Archer's defining moment of stream of consciousness awareness about her life, her marriage and that intuition surmised from the merest glance, that Madame Merle meant far more to Gilbert than Isabel had hitherto realised. 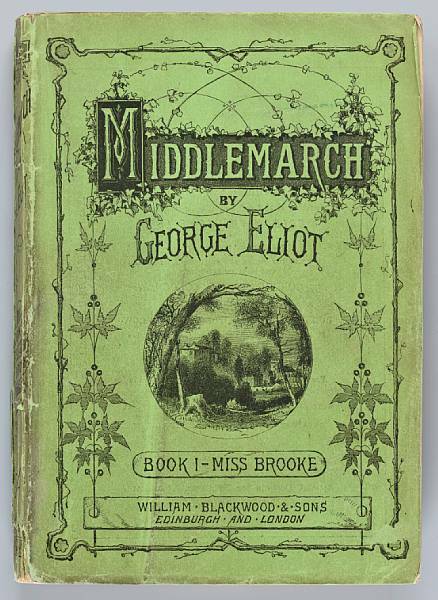 Nothing to compare with being put in your place by George Eliot I find. Or what about that hilarious moment in Elizabeth Gaskell's Cranford when Miss Matty confesses her fear of being startled by a man under her bed who may grab her leg as she is about to climb in, and thus for the purposes of discovery she keeps a penny ball to hand to roll from one side of the floor to the other. And so I have whiled away many a happy hour this week in reading rehab, settling down with some diamonds of my own, and I'd love to know yours. ...and a strange one too, things pencilled into the diary for almost a year are suddenly aren't there any more so a bit of unexpected time gained and it means I can join in with the NTTVBG over at Simon's today...or will be able to when I've finished the book. Just in case you missed the Wikio excitement, I'm flagging this link up for you to see too and appreciate now while it's there. Please don't ask me to explain how these things happen but I'm naturally very excited and honoured that we are there for this month at least, and in amongst such esteemed company. help yourself to some celebratory Tinker birthday profiteroles (go on, a bit more chocolate won't hurt) and there might be a drizzle of champers left....or I'll put the kettle on and we'll have a nice pot of tea instead. I hope you all had a lovely Easter and feel rested and refreshed . We had a fine day with the Tinker celebrating his 85th birthday and thank you for all your kind comments and good wishes, he was very touched and is now packed and raring to set sail on his adventure. and Mary also the only person to score 9/10 in Erika's quiz and get two of those three last few very tricky questions right....here are the answers for anyone still tearing their hair out over those. So congratulations to Mary, a little prize package on its way to you very soon. It's always in batches of three isn't it, so when the next thing goes wrong we'll just start on another three and wait for two more. In fact the tumble dryer did catch fire a few weeks ago but I'm discounting that because it was user error and everyone thinking that everyone else was emptying the lint filter in the door, which they hadn't and for some time. Bookhound happened to be passing and noticed the smoke, opened the door and very observantly noted flames but after some smooth talking and a bit of a clean up, it's all fine. There but for the grace of etc and disaster was averted because since the blocked filter-flooding of the washing machine that afternoon two years ago, when we all had flu and were all semi-conscious and coughing our way mindlessly through Deal or No Deal (as you do), and we agreed that under no circumstances would we ever go out and leave appliances running because that could have been a whole lot worse than just the floating hall carpet. The more I think about it the more I see this house as one great big digestive system, fine when it all works, a sort of noisy, noticeable distraction when it doesn't. We paid the bill and settled down to wait for Things Two and Three, sort of looking over our shoulders and wondering what it might be. Thing Two wasn't long in happening and in fact this was quite exciting because for a moment it seemed we had V2 rockets powering the central heating and were prone to something called 'kettling'. If you haven't 'kettled' lately it really is something to behold, forgive the digestive allusion but akin to trapped wind in your central heating system and the water boiling in the pipes. Simple we thought, you just find the key and bleed the radiators, job done. Except no amount of Bookhound assisted gaseous release from the system seemed to alleviate the symptoms and there was an ongoing debate about whether we could fry an egg on the radiators or not, whilst indeed a moon landing did seem in the offing for the whole house. So we sent for the 'heating' man and he fixed it (valve trouble) and we paid the bill and sat back because Thing Three was inevitable, just a matter of time. If the water supply going awry is Armageddon then really the washing machine going off its legs is like having the four horseman of the apocalypse all riding in together and panic sets in fast. This panic is all a little uncontrollable remnant of post traumatic stress disorder induced years ago by a new Hoover (yes, let's name and shame) washing machine that broke down eighteen times in its first two years of life, and usually full of half-washed towelling nappies. A saga it gives me palpitations even to think about let alone recount. In fact last week the machine (now a Miele) got stuck on rinse and for all our persuasive endeavours was having none of it and carried on quietly digesting the load of towels that were in there (it's always a ton weight of something isn't it) not an ounce of movement could we persuade out of it, not a spin in sight, and no amount of rehabilitation seemed to work. Now Mieles are lovely when they work but horribly expensive when they go wrong, which they don't for many years. We reckoned ours had done at least fifteen years very hard work in the last ten and when it became clear that the electronictrickery in the circuit board had gone and doubtless the motor would go a week later it was decision time. I find washing machine decisions can be made very quickly here as the staircases (we have two to fill) start to disappear under the weight of the great unwashed garments, and when it's the Gamekeeper's laundry you really don't want to hang about. Then I start hyperventilating and that's it, decision made. So off we trotted into Plymouth and came home with a new washing machine, it was that easy if a little more than we usually spend on a shopping trip to Plymouth. The man quickly gave up trying to sell us another expensive Miele and we've gone Bosch (if you have a Friday afternoon Bosch that has been nothing but trouble, please don't share) which will spin at 1400 and probably shred our clothes to tatters, but they'll be dry tatters. The thing was that since the Miele went into the far end of the utility room considerable works have been done around it, including installing a new toilet. It slowly became clear that the toilet was no way going to allow the machine back out of the room without it needing an up and over style removal and likewise the new one up and over in. Have you lifted a washing machine lately? I wonder is it too much to ask for a book to come along wherein no one dies? I'd kill to read a book where no one dies right now and it was RevCheryl asking for some happy reading that set me thinking, where are all the current, well-written, 'happy' books? The inference from 'happy' is that the books might be a bit slight and light but surely they needn't be? This is also perhaps slightly different to hot water bottle comfort reading and that settling down with old favourites, much more about finding out if there is anything happy out there at the moment. If you can think of any please could you flood comments with your suggestions like a brilliant beam of happyhappyjoyjoy reading light as we all suddenly discover we are passing through these various dates that everyone tells us are the most miserable of the year.. National Being Depressed Day etc. I've even dug out a nice sunbeamy picture of Plymouth Sound to go with it all. I've been reading some sharp end contemporary fiction through January and February and have to confess, if 'enjoy' is the right word, then I have been. People dropping like flies, turning to glass, or meeting a sticky end, or living sadly deprived lives, or dying in disasters or wars, there are few original ways left to shuffle off this mortal coil after those I've read of in recent weeks. I'm intentionally holding off my thoughts about Even the Dogs by Jon McGregor until later this week to spare you even more of the same, but it is the best book I've read this year and I'm afraid I will have to say the word Booker when I do share my thoughts on it. So oddly this has all been great reading and sometimes it just seems I'm wearing enough layers of skin to cope, and perhaps this is is empirically linked to the number of layers of clothes I'm wearing (four) through this real winter we're having. I know plenty of people might be fed up with ice and snow but I'm loving it for the realness of the season, the light bright brilliant blue skies and the fact the spring will earn its keep this year and I will really appreciate it for the difference. But I had a browse through my shelves, just to see and there were several happy candidates so I'm going to share one today and others soon, I hope little rays of undepressing reading. So I can't know about forthcoming deceasements (seems like a word that should exist) but the ones I've read so far are perfect, gentle but important moments magnified and examined, and I do know that I really enjoyed Ruth Thomas's novel Things to Make and Mend . "School needlework a la 1960s was like well thought out torture because you knew exactly what you'd like to knock up, perhaps a mini skirt or heaven forfend some hotpants, thus a whole term spent smocking a piece of gingham and then making it into an apron was a bit of a disappointment. Strangely though we were all wildly into knitting during break times (that and playing cards and swapping Jean Plaidy books), a very long scarf and mini-jumpers from a Paton's pattern modelled by Twiggy that took exactly 8ozs of Fiona wool were compulsory. At 2s 6d per oz.your jumper cost you £1. Ruth Thomas has distilled and bottled the essence of it all perfectly in this book. Scroll on down for a happy cat dispensing two lots of gifts today. Interestingly David Robinson is already challenging some of my more dubiously held prejudices with his book of literary editor essays and interviews, In Cold Ink - On the Writers' Tracks. Sufficiently emphatic was she, that whenever I see the book I have a bit of a shudder and something has always stopped me from finding all this out for myself. I had enough trouble after recommending Lolly Willowes by Sylvia Townsend Warner to someone who came back to me declaring that she hated it, found it every disturbing and wished she could un-read it that minute. That's quite a powerful statement to make about a book and I felt terrible for recommending it, but neither could I see the problem with the book. As I recall it was a really good read for me. David Robinson sets off to drive west across Kansas towards Garden City in search of one of his literary heroes, Truman Capote, and the lingering shadows of one of his favourite books, In Cold Blood. How exactly did Truman Capote persuade Marlon Brando to tell all in an interview? I'm not sure whether Marlon succumbed to the boa, but apparently Capote's very clever use of conversation drew out details of his life that Brandon, who rarely gave interviews, had always been reluctant to disclose. And I'm thinking how strange, because if I'd met David Robinson instead of my friend at the library that day I'd have been rushing off to the C shelf (rural Devon, therefore shelf singular) and hoping to find In Cold Blood waiting for me. I'm starting to be even more convinced that I should give it a go when I learn that David Robinson and I are kindred spirits on the subject of literary tourism, we love it. Truman's been reading dovegreyreader this week, I'm warming to him and I'm almost convinced, but it all leaves me wondering, do you have books you wish you had never read and should I read In Cold Blood? What on earth is she on about now I hear you mutter...snippateering? Is it in the Oxford English Dictionary? Well perhaps not yet but it should be. Snippateering (and I felt that extra 'p' added something) surely an art and a skill deserving of recognition. For want of a newspaper there are times when all would be lost in this house, so you have no idea how often I have had to defend this stack with my life in recent weeks when the needs of the reluctant fire or the puppy's very willing derriere seemed paramount. Resistant to all pleadings I suggest chopping up the furniture or putting the puppy in nappies, but just hands off my paper reviews. We buy several, and though I know I can read them online at leisure, there seems nothing to match that crumply old folded paper version draped over the teapot, plus I'm a bit of a nerd when it comes to cuttings and paper reviews folded up and put inside books. Imagine my delight when this copy of Virginia Woolf's A Writer's Diary, picked up at a book fair for £5, yielded rich pickings. I love this book, inscribed "For Hilary From Kenneth Christmas 1953", sounds formal doesn't it, and I presume it is Hilary who has written notes in it. I've added my marginalia and I really hope whoever this book moves onto eventually continues the tradition even though it is a first edition with a Vanessa Bell cover, it's a much used, much loved book, not an exhibit or an investment. more of that another day. We can eke out the weekend newspapers to last a whole week of fire lighting here if we are very careful. There's a set order to these things too, Business, Work, Money and Sport sections will usually see us warm through to Wednesday by which time I've hidden the review section in my stash awaiting attention. Travel and Property go up in smoke on Thursday swiftly followed by the main papers which we can make last two days and then it's time to buy more. A box of firelighters probably a whole lot cheaper. Naturally this all went to pot with a puppy indoors and we were through the whole lot by Monday with firelighting eyes gazing furtively at my snippateering box. and then begins that leisurely wander around the shelves finding the books to put them in and more browsing.... you really would think I had nothing better to do. Is it just me or do I have kindred snippateers out there? An interesting piece in The Times about LRB tribulations on Monday (I wrote this on Sunday) and it seems we've all spotted that Personal. Last Friday however I was late getting to the Personals because there were far too many diversions of my own to contend with en route to page thirty-nine. In fact it all nearly spontaneously combusted in my hands, not only for Anne Enright's piece on the Mrs Robinson affair rumbling on over in Ireland and about which I have no comment to make, but also for Michael Hofmann's review of The World of Yesterday by Stefan Zweig about which I think I do. Now I have had the utmost respect for Michael Hofmann, the translator. I'm an amateur but I have read a great deal by Joseph Roth in recent years, in the hands of Hofmann he is a great writer, in the hands of others Roth sometimes seems merely good. In 2001, in a piece entitled A Chilly Extravagance, Michael Hofmann made clear his dismay at the popularity of W.G.Sebald, ( read about it here at Vertigo) and he has now done likewise with Stefan Zweig. Well, of course he is entitled to express his opinion and my own discomfort is not about an inability to accept negative critical opinion of an author I love either, but bludgeon me with unmitigated disdain and you've lost me. In certain parts, The World of Yesterday is declared 'slobbering and sanctimonious' and 'full of adulatory humbug', and, lest there be any doubt in my mind about the veracity of this, a litany of Stefan Zweig's failings, barrow-loads of them, are wheeled on to persuade me of my foolishness. Every last literary acquaintance of Zweig's mined for a derogatory anecdote, even Stefan's teeth are fair game, even the post-suicide photograph comes under scrutiny. Now of course what do I know? Michael Hofmann will forget far more than I can ever hope to know about Stefan Zweig's world (and he hearts Hofmannstahl above all others it would seem) so I don't doubt there are kernels of truth to his opinion, but I can't believe Stefan Zweig never did a single solitary good thing ... he must at least have helped an old lady across the road or given a literary friend a leg up the ladder somewhere along the way? I'd love to read Hofmann's opinion in a form untrammelled by his painful dislike for his subject, because perhaps I'd come away with some legitimate access to that kernel of truth, but a piece like this does me a great disservice, denies me that knowledge. Clive James wrote a very informative essay on Stefan Zweig and he makes a very pertinent point. Michael Hofmann feels there must be 'odd moments of honesty' in these expressions of dislike from Zweig's peers and wants me to believe he has found them. Stefan Zweig didn't survive that catastrophe so we can never know, but I do know that fear does different things to different people, for a man of Stefan Zweig's disposition it was disastrous. His flight was clearly far more honed than his fight, who of us can be sure we'd act differently given the circumstances and the capability? The message by implication of Michael Hofmann's opinion is that I am very stupid. I have been duped and seduced into buying into the latest Zweigzeitgist, (can't you do that with German? Just keep adding bits on the end? ) this revival 'plotted' by Pushkin Press with their 'nice paper and pretty formats' and who knows, perhaps occasionally I have been, except I've read most of this latest book in the old University of Nebraska edition. It's all backfired badly here because just supposing you've written a piece about someone popular but who you heartily dislike and you desperately want to convince others of their folly, except in writing that piece you may have unwittingly revealed far more about yourself than your subject. And what about your reader? Far from being persuaded or inclined to reflect on their position, far from informing them or staying their hand or their imagination as they reach for another book by your subject, perhaps instead they find themselves subliminally inclined to cut off their nose to spite their face and hesitate over your books in future...it's a funny old world. Is it just me or does this happen to you sometimes?